From identifying and diagnosing your prosthetic and surgical needs using advanced 3-D imaging equipment to creating a customized surgical plan including full-spectrum sedation, we pride ourselves on exceeding the standard of care in every service we deliver. Click on a link to find out more about our capabilities at Middleton Oral Surgery. The removal of a single tooth or several teeth can be an intimidating event—but we believe there is an art to delivering a failed tooth without causing undue trauma. Teeth may need to be removed for a number of reasons: extensive decay, gum disease or trauma, all with the potential to result in painful, abscessed, and/or loose teeth. By assessing your individual situation and using the latest 3-dimensional imaging technology, Dr. Middleton and our team will strive to provide you with the safest and least traumatic method of removal. In order to ensure your optimal comfort, we will customize the level of anesthesia needed based on the level difficulty we assess for your procedure. After your tooth or teeth are removed, there is often a benefit to filling the bony extraction defect(s) in order to restore the jaw and prevent permanent voids. Ask Dr. Middleton or one of our staff to discuss this option at the time of your consultation. Bone loss in the jaw is common in people who have had gum disease, lost teeth, suffered facial trauma, or have ill-fitting dentures. Even for those with only a single missing tooth, between 40% and 60% of the supporting bone structure may be lost in the first year, oftentimes making it difficult to place a dental implant that will last. While bone grafting first sound extreme, the reality is that thanks to today’s innovative bone grafting techniques and materials, bone grafting in the oral cavity is a routine, predictable and painless procedure. With the ability to grow bone where you need it, bone grafting gives oral surgeons the opportunity to build a strong foundation for placing successful implants—and helping to restore a fully functional, beautiful smile. Single Site Bone Grafting: We target this “single site” for a dental implant and determine a plan for grafting new bone onto the site. It is important to re-establish proper bony and gingival contours before a tooth can be replaced. Ridge Augmentation: This procedure involves replacing bone in the empty space or socket that is created after a tooth is extracted. Sinus Lift: This procedure is done to help preserve bone that is lost in the back upper jaw/sinus floor in order to accommodate dental implants. Dr. Middleton or one of our staff will be happy to discuss this procedure in more detail at the time of your consultation. Wisdom teeth, officially referred to as third molars, are oftentimes non-functional and difficult to maintain. Since the wisdom teeth are the last to develop, there is usually insufficient room in the mouth for them to adequately erupt and become fully functional teeth. When this occurs they are said to be impacted. This inability to properly function in the chewing process can result in a number of harmful effects on overall dental hygiene and health. This is why we typically recommend removing wisdom teeth in order to prevent and avoid long-term problems, especially at an age when we first recognize the inability for third molars to erupt. In our experience, if we recognize the issue at an early age (sometimes as young as 11 or 12 and other times 17 or 18), we see faster, more predictable healing with fewer post-operative complications. However, unless you have an active problem, it is up to you to elect to have your wisdom teeth removed. When you lose a tooth, it is in the best interest of your oral health to have it replaced. Missing teeth can affect your “bite” as well as your ability to speak and chew. Their loss can increase the burden on your remaining teeth and can cause headaches or muscle pain in your jaws. And of course, losing a tooth can affect your appearance. The good news is that most of the time, replacing a missing tooth is not an emergency. You have time to consider what replacement option is best for you and to make an informed decision. If you are considering dental implants, Dr. Middleton will thoroughly examine your mouth and review your dental and medical history in order to confirm whether dental implants are an appropriate option. Occasionally, more detailed information is required and can be provided by special x-rays to help determine if additional tests or procedures are needed to place your implants properly. 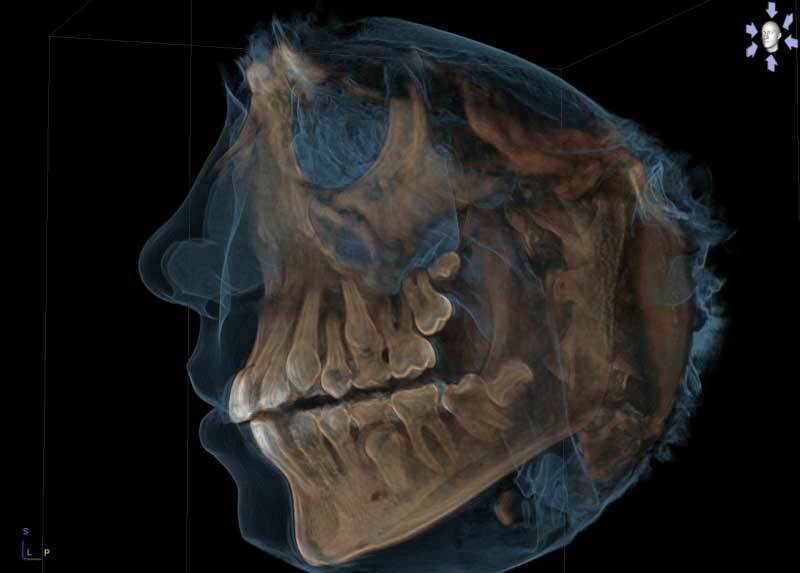 Dental x-rays and, frequently, panoramic (or complete) x-rays of your jaws will be taken to evaluate your jawbone and to determine if it will accommodate implants. If you are missing one or more teeth and choose to have it (or them) replaced, several treatment options are available. A cast partial denture also is removable but is precision-cast in metal for longer service life. Wire clips help hold it in place. Full dentures or “plates” are the traditional solution for people who have lost all their teeth in one or both jaws. The success of a full denture depends upon the individual’s jaw size and shape, your oral habits, and your ability to adapt to dentures. Today, the majority of dental implants placed are used to support “fixed” restorations—meaning crowns or bridges. These treatments are very popular, as their reliability may rival conventional crowns and bridges. Implant-supported crowns and bridges are generally preferred for their natural feel. However, crowns and bridges replace only the missing teeth—so if you are also missing gum tissue and bone, a purely fixed restoration may not provide an acceptable appearance. In addition, implants that support fixed appliances are asked to bear higher loads and biting forces than implants that support removable appliances. This has an important influence on the number, size and position of the implants selected. When dental implants were first introduced, treatment was entirely focused on complete dentures and on making dentures more wearable. This continues to be a mainstay of implant treatment, and there are several advantages to removable dental appliances including a more aesthetically pleasing appearance, easier cleaning and maintenance, and more affordability. Another big advantage is adaptability, or the ability to make changes to the appliance design. Because a complete denture rests on your own gum tissue, as few as two implants can be used to stabilize and hold the denture in place—oftentimes in strategic locations to make the denture more wearable. Many patients choose this treatment option because it tends to result in much higher levels of comfort and confidence—eating, speaking and smiling are made more simple and enjoyable. We refer to any tooth that is blocked, stuck, or unable to fully erupt and function properly as “impacted.” This term is most commonly associated with wisdom teeth, but other teeth in the mouth—particularly those important to oral function—can also become impacted. Of these teeth the most common are the upper canines (eye teeth). Normally, the canine teeth are the last of the “front” teeth to erupt into place, usually at around age 13. If a canine tooth gets impacted, every effort is made to save the tooth and bring it into a normal position in the mouth. Once your orthodontist has placed braces to open a space for the impacted tooth, Dr. Middleton will expose and bracket the tooth in a simple surgical procedure performed under local anesthesia in our office. Then, a day to 14 days after surgery, your orthodontist will attach a chain to your existing orthodontic wire, and intermittently tighten it to guide the impacted tooth into its proper place in the dental arch. This is a carefully controlled, slow process that may take up to a year to complete. Recovery from this procedure is usually uneventful with only mild discomfort and swelling. The inside of your mouth is normally lined with a special type of skin (mucosa) that is smooth and coral pink in color. Any alteration in this appearance can be a warning sign for a disease process. The most serious of these is oral cancer. These changes can be detected on the lips, cheeks, palate, and gum tissue around your teeth, tongue, face, or neck. Pain may not always be present; in fact, pain is not often associated with oral cancer. Your mouth is one of your body’s most important warning systems—do not ignore suspicious lumps or sores. Dr. Middleton recommends performing an oral cancer self-examination monthly. Tori are benign bone growths that can occur on the tongue side of your lower jaw, hard palate or along the bone supporting the teeth. Also known as exostoses, these growths are often lobular and irregularly shaped, with thin overlying mucosal coverage. They can feature a genetic component and run in families or arise spontaneously. Sometimes a hard bite can contribute to their enlargement. The removal of tori (or exostoses) is generally prompted by their enlargement, which may displace the tongue or challenge hygiene as the thin covering tissues are often subject to trauma. Occasionally, tori simply obstruct the placement of a prosthesis or dental restoration so must be recontoured or removed. This procedure is routinely completed under anesthesia for your comfort and for optimal surgical management.